Ever since I was a little girl, I wanted to be a mother. When I began my birth journey with my first pregnancy over twelve years ago, I read everything I could get my hands on. I engaged wholeheartedly with the journey of birth and motherhood. As the years went on I became a mother to two more children and began to support other women on their birth journeys. I have a comprehensive knowledge of pregnancy, birth and breastfeeding from my 12 years of complete immersion in the subject. 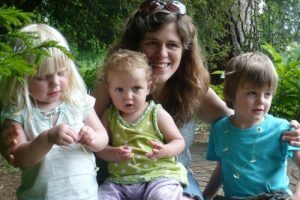 I gave birth to all three of my babies at home in water and breastfed them all for several years. I am also step-mother to a grown-up bonus child. 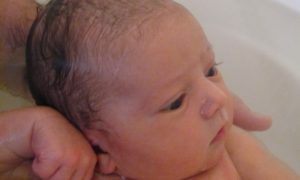 I used cloth nappies, wore them in slings, did baby-led weaning and co-slept. My journey was not always plain sailing, but I am grateful for its gifts and lessons. I am comfortable with the stories of my babies’ births. This means that I have no investment in needing your birth journey, to be a certain way in order to complete or heal my own story. I recognise that you have your own unique journey to make. Over four years ago, a close friend asked me to be her doula. It was the most wonderful experience and I loved it. It confirmed my passion for working with birthing women. My own children were still young though and so I bided my time. I wanted to wait until they were old enough to be happy if I dashed off to a birth and returned a few days later, before completing any formal training. They are now 11, 10 and 9 and busy with their own lives. I completed my formal doula training with Conscious Birthing in 2015 and then went through a period of apprenticeship with the support of a mentor. I am now a fully ‘Recognised’ Birth and Postnatal Doula with DoulaUK. Now my children are older, I have enough headspace to follow my passion for doulaing! It feels so good knowing that my family won’t miss me too much if I am away for a few days at a birth. At last I can balance my voluntary and paid work with and the needs of my family. 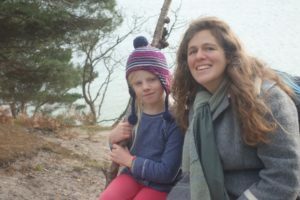 When my children were young I volunteered with the NCT and was Chair of Bristol branch as well as doing various other roles, including editing the newsletter & organising open houses. 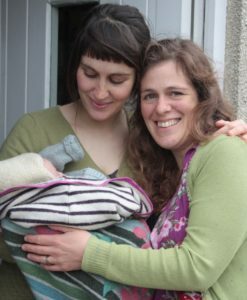 I now co-run Monmouthshire’s Birth Group, a free, open access support group, along with other local birth workers. I am also a volunteer Breastfeeding Counsellor at Monmouthshire’s La Leche League breastfeeding support group. I support many mothers, some of whom I never meet, via Facebook. I have excellent links with other midwives, doulas, birth workers and breastfeeding counsellors, both locally and across the UK. Due to my other work around menstruation I understand how birth feeds into our birthing experience. I am fascinated by the whole journey we take from menarche, through menstruation, pregnancy, birth, infertility, choosing to be child-free to menopause and beyond. I write about these subjects, create songs, hold ceremonies, workshops and events, which enable women to explore and claim this terrain. You can find our more about this here. I have been holding Mother Blessings, Baby Namings and Weddings for several years now. I love holding a space and witnessing how celebrating a rite of passage can bring such joy and warmth to these hugely important life transitions.